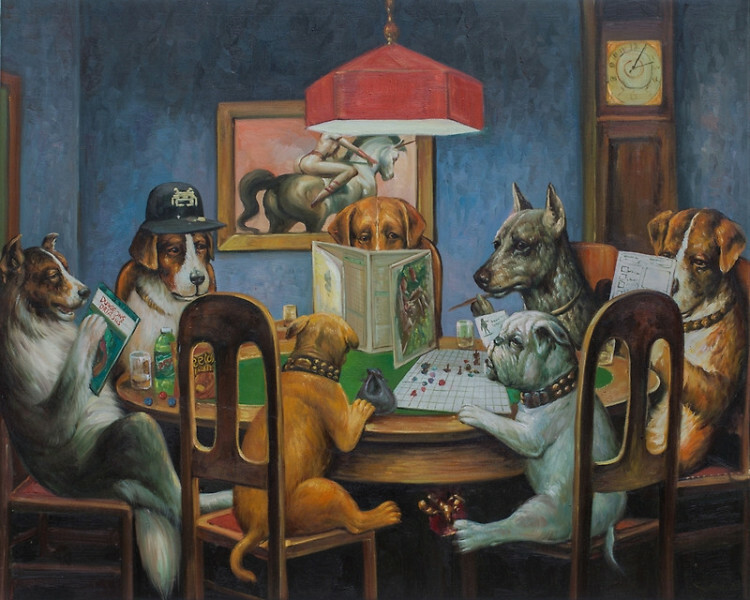 Dogs engage in a game of Dungeons & Dragons in Dogs Playing D&D, a painting by Johannes Grenzfurthner of Austrian art and tech group Monochrom, in collaboration with game designer and artist Heather Kelley. 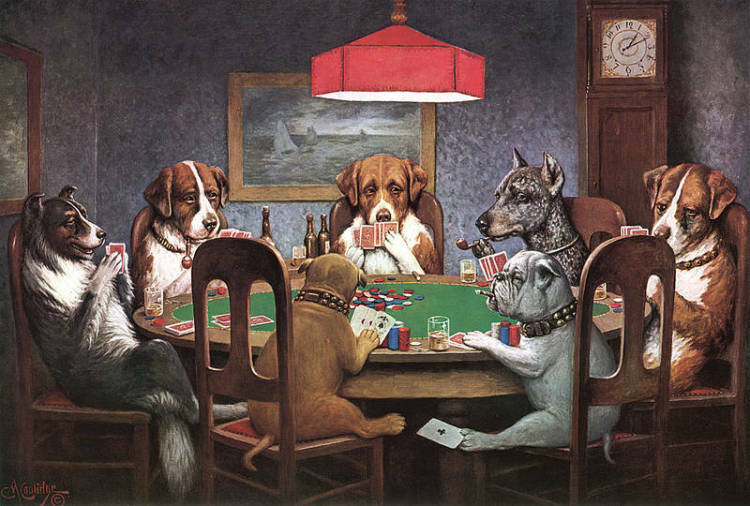 The painting is a play on A Friend in Need from the iconic series of dog paintings, Dogs Playing Poker, by C. M. Coolidge. Dogs Playing D&D is available in a variety of formats including prints, iPhone skins, and T-shirts. Poker? Meh! Billards? Bah! Tabletop RPG? YESSS! It’s about time the notorious gaming dogs got something relevant to play. Watch closely as they roll dice, check stats, and of course, eat snacks! Did we mention they love Vallejo?